An invitation to the Wednesday meeting went out to tech leaders last week from members of Trump’s transition team. Amazon.com Chief Executive Jeff Bezos and Tesla Motors CEO Elon Musk will be among those attending President-elect Donald Trump’s gathering of technology industry leaders Wednesday in New York, people familiar with the matter said. An invitation went out last week from members of Trump’s transition team, including venture capitalist Peter Thiel. Oracle co-CEO Safra Catz, Cisco Systems CEO Chuck Robbins and Facebook Chief Operating Officer Sheryl Sandberg plan to attend. Alphabet’s Larry Page and Eric Schmidt will be there too, as will Apple’s Tim Cook, according to people familiar with the matter. IBM Chief Executive Ginni Rometty — who is also on Trump’s advisory panel of business leaders — will also attend, said a person familiar with her plans. Microsoft declined to comment. Recode reported CEO Satya Nadella planned to attend. While support for Trump was thin among technology executives during the presidential campaign, Bezos and Trump clashed the most publicly. 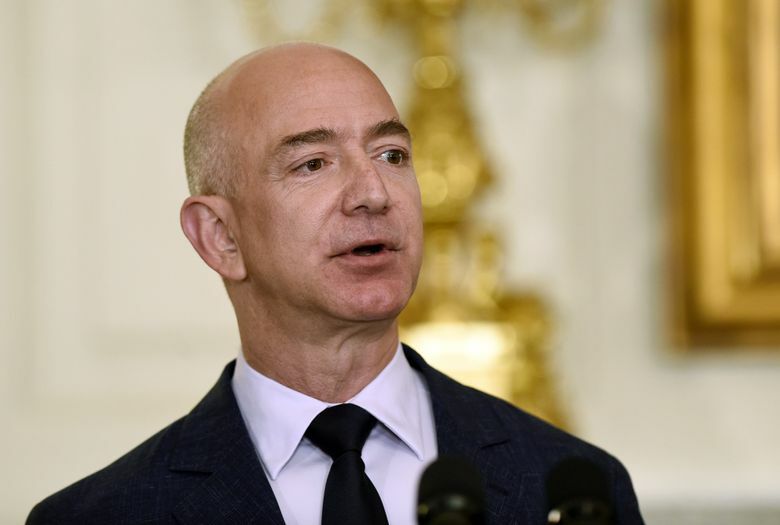 The Amazon founder mockingly tweeted that he would send the Republican candidate to space on one of his rockets, and Trump accused Bezos of purchasing The Washington Post to gain political influence in the nation’s capital to help his growing e-commerce empire. Bezos is doing the responsible thing for Amazon investors in attending the summit even though it promises to be a “groveling session made for reality TV,” said Michael Pachter, analyst at Wedbush Securities. Technology leaders in Silicon Valley and beyond had openly signaled an uneasiness with Trump, with most favoring Hillary Clinton. Contributions to her campaign were 114 times the level they were for Trump, according to statistics compiled by the Center for Responsive Politics. During the summer, a group of about 140 industry figures sent an open letter decrying Trump’s views on immigration, internet security and government investment, which they said would stifle innovation and growth. The main topic of the meeting is likely to be job creation, one of the people familiar with the matter said. Other significant issues that could be discussed are possible repatriation of overseas earnings and corporate-tax reform, said Rob Atkinson, president of the Information Technology and Innovation Foundation. Atkinson said the meeting may address China, where several U.S. tech companies have struggled to find a foothold. The gathering will also be a chance for technology leaders to find some common ground with the new administration. Bezos and Trump have had a long-running spat, played out largely via Twitter, beginning last December after the candidate attacked The Washington Post for publishing unflattering reports about him. “The Washington Post, which loses a fortune, is owned by Jeff Bezos for purposes of keeping taxes down at his no profit company, Amazon,” Trump said. In June, Trump’s campaign revoked the Post’s press credentials, accusing the newspaper of being a front for Amazon’s political agenda. The Post later was the first to report on the “Access Hollywood” footage from 2005 of Trump making lewd comments about women. Musk’s attendance brings a triangle of tension to the meeting. He and Bezos are both tech moguls who made their fortunes on the internet and then plowed them into space exploration. The two have sparred publicly via Twitter about the accomplishments of their space-exploration companies. Musk owns Space Exploration Technologies, or SpaceX, and Bezos owns Blue Origin, both of which are trying to advance space exploration with rockets that can be reused like airplanes. Seattle Times technology reporter Matt Day and Bloomberg reporters Mark Bergen, Dana Hull and Jing Cao contributed to this report.